There are times when technology projects seem to be something more of William Shakespeare’s Hamlet or Macbeth than they are manifestations of today’s business world. 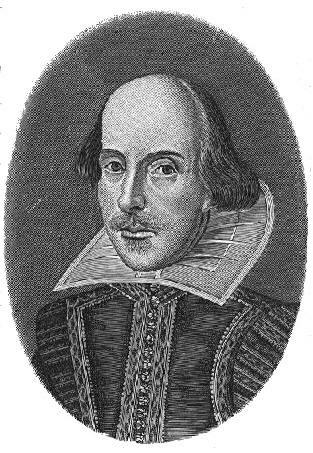 The relative obscurity of Shakespeare’s prose is certainly challenged by the confusing technical jargon often used by today’s project stakeholders. Whether it be the seemingly positive prophecies of Macbeth’s witches (Initial Estimates ?) or the warnings of King Hamlet’s ghost (Historical Accounts ? ), the initiation of a project can be filled with confusing, often conflicting, data. It is the skill and experience of the project management team that sorts through that initial information and develops a plan. The project team can select an aggressive methodology, employing a Macbeth-style Agile (?) approach, or it can study a problem intensely before acting (e.g. 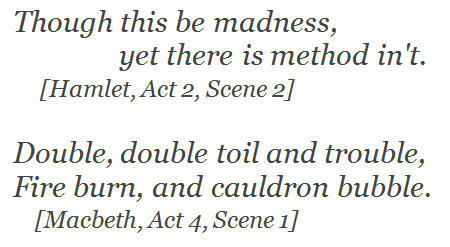 Hamlet’s “madness” / waterfall planning methodology [Act 2, Scene 2]). The selected project methodology provides only a framework. It is the action of the actors (the project management team) that really shapes the outcome. While some stakeholders may be vocal and play lead business roles, it can be risky for a PM to let them independently influence project decisions. Some might argue that Lady Macbeth was not just a stakeholder, but actually an Agile Customer or Business Sponsor or perhaps an Agile Product Manager. One thing was for certain, Macbeth’s weak employment of an Agile approach left much to be desired. Unfortunately, Macbeth’s failure to build a strong Agile methodology includes an absent, independent Quality Assurance review process. As he piles bad decisions on top of a poorly advised strategy, his detractors are not in a position to properly challenge his processes. Risk analysis is an extremely important part of Project Management. It begins early and continues throughout the life of the project. Proper assessment and routine reviews of risk probability can have significant impacts on project outcomes. In the final act, poor Macbeth realizes the errors in his assumptions and how they echoed into risk probability assessments and mitigation plans. [L-R: McDuff was born by C-section, i.e. not of woman born; the armies marching on his castle cut boughs from the Birnam Wood for protection.] The general loss of stakeholder support (from the Scottish noblemen) proves to be his undoing. Most of us hope to learn from our project failures and to manage another day. Macbeth literally lost his head over it (and may have set back the use of Agile in Scotland for several centuries). Let’s check in on our other Shakespeare character-turned-Project Manager. Like Macbeth, Hamlet receives significant input during Project Initiation. [L-R: Hamlet talks with his father’s ghost while Macbeth talked with The Witches.] Hamlet, however, does not have a strong stakeholder pushing for immediate results, and instead, he selects a waterfall methodology with extensive planning. In my opinion, had Hamlet received either PMI or ITIL training, he never would have allowed that last minute scope change and Shakespeare’s play would have been much shorter. As it was, Hamlet did allow the scope change (the requirement that Claudius be damned, in addition to being killed) and Hamlet went through several more trials (scenes) before he could bring his project to a “successful” conclusion. Changes in scope, especially as they occur near to project closure can have significant negative impacts on project outcome. In Hamlet’s case, he did end up killing Claudius, but surrendered his life in the process. Hamlet’s funeral, provided by the stakeholders that were still alive in the end (and there weren’t many), was a testament to his drive and get-it-done management style, but Hamlet was still dead. Project methodologies, whether early-Agile (Macbeth) or traditional waterfall (Hamlet), are helpful in providing structure and approach, but they are not guarantees of project success. It is the people, the project managers, who employ those methodologies who make the difference between success and failure.